4 pack for washing dishes and wiping counters. 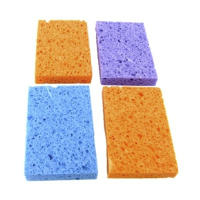 Resists odors and kills germs in the sponge. Assorted colors. Sponge is 4.5" by 3"